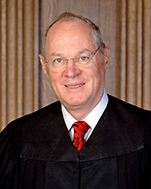 Justice Anthony Kennedy announced his retirement from the Supreme Court, which will take effect on July 31. Kennedy was appointed to the Supreme Court by Ronald Reagan in 1988, but he wound up becoming the fulcrum of many decisions over the ensuing three decades, alternating between the court’s liberal and conservative blocs. In a number of the Supreme Court’s decisions released this month, he sided with Chief Justice John Roberts, Clarence Thomas, Samuel Alito, and Neil Gorsuch to hand conservative major wins over unions and to uphold President Donald Trump’s travel ban. President Trump will now have a chance to nominate his second Supreme Court justice, after putting Gorsuch on the Supreme Court. Gorsuch’s appointment came after Republicans, led by Senate Majority Leader Mitch McConnell, refused to hold hearings for Obama’s nominee, Merrick Garland, who was nominated in March 2016. Trump said he would most likely pick a nominee that the administration had previously vetted, possibly Thomas Hardiman, who was Trump’s second choice for the court in January 2017. JUST IN: Trump tells TV pooler @HallieJackson he will choose a judge from the list the White House has previously circulated to replace Justice Kennedy. A firm, five-justice majority on the Court could lead to a number of challenges being heard of what’s long been a conservative white whale—overturning Roe v. Wade—among countless other controversial issues.